A lot of campaigns and advocacies that concern the environment are being constituted these days. Most people nowadays are becoming more aware of the fact that our environment is at risk due to the many forms of abuses that people from all over the world is doing, slapping mother nature in the face big time. As concerned inhabitants of our mother nature, we should all take the step into preserving our scarce resources. Making a difference is never hard. In fact, simple things like turning off the AC or unplugging the television when not in use will really help a lot in saving energy at the same time it also helps in lessening the carbon emissions to the atmosphere. 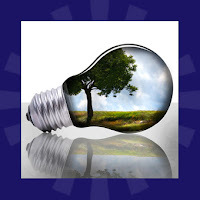 Our parents would always teach us about gas and electricity reducing tips for the eco-conscious when we were young, and now is the time to apply those tips so we can preserve our natural resources up until the future generations. Now is the time to go GREEN. Tiny things can make a mighty difference.